Yoga Teacher Training will rotate between 3 affiliate studios. The Columbus School of Yoga, founded and led by Colleen O’Brien McFall. in conjunction with Heartfelt Yoga Studio and The Yoga Loft. Our 200-hour Teacher Training Program has been designed for students who want to become certified yoga teachers, as well as those with a desire to dive deeper into the art and science of yoga, grow in their practice, deepen in self-understanding and gain a greater knowledge of body alignment, anatomy and yoga philosophy. Participants will learn and develop the key elements necessary to teach a fun, safe and effective yoga class as well as important skills that will positively serve all aspects of one’s life. 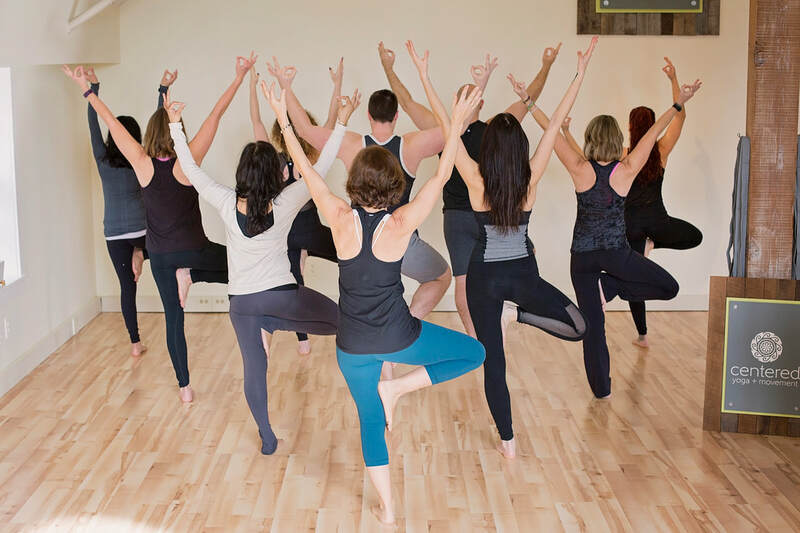 The Columbus School of Yoga Teacher Training Program, led by Colleen O’Brien McFall, offers an empowering approach to education, teaching and what it means to craft an experience that supports the students for success. As a participant in our program you will receive a well-rounded education that meets the curriculum standards criteria in 6 key categories as defined by Yoga Alliance, as described below. Colleen is known for her passionate instruction that immediately instills a sense of calm within her students while inspiring compassion, self-acceptance, and empowerment. Her classes are infused with fluid and creative movement, intelligent sequencing, and a grace that will leave an imprint upon you with every class she teaches. Her genuine and caring approach to yoga creates a safe and sacred space for inward reflection, cultivating a deep state of relaxation and peacefulness from within. Her versatility to work with all levels of students and teachers is a true testament to her vast knowledge and rich experience of anatomy, alignment, biomechanics, and yoga philosophy. Colleen has a unique way of creating genuine connection which leaves you feeling brighter and inspired from within. Colleen has over a decade of teaching experience in multiple markets throughout Canada and the USA. Her depth of experience is deeply rooted in the Kripalu tradition where she originally began her studies. Additionally, having lived and taught in the Boulder & Denver Colorado yoga community, she immersed herself in this yoga mecca and as a result she has been steeped and influenced by a wide variety of other traditions and many inspiring teachers. Whether you’re new to yoga or have been practicing yoga for years, Colleen will inspire and ignite a spark within you that cultivates a thirst for self-inquiry, empowering you with the confidence and skill for transformation both on and off the mat. ​Alexandria came to the yoga practice through an academic class while studying Exercise Physiology at OSU. Her life has always been influenced by movement, but in asana she found the physicality of the postures facilitated much more than just a workout - a deeper connection & understanding of herself & others. Quickly, the concept of vinyasa, to place something in a particular way, began to seep in to all aspects of her life. In placing her mind in a more grateful, gracious way & carefully considering her words & actions, she started to construct the life she wanted to live. & that included sharing yoga with whoever would listen. Alexandria studied with Cyndi Lee in 2014 & brought her teacher's thoughtful, embodied experience of yoga back to Columbus. She continues to enjoy the gift of getting to be a student, learning more about the practice to continue to make her body & mind a hospitable place to live. Sharing these teachings with others as a career keeps her cup full. The Columbus School of Yoga 200 Hour Teacher Training program offers an empowering approach to education, teaching and what it means to craft an experience that supports the students for success. As a participant in our program you will receive a well-rounded education that meets the curriculum standards criteria in 6 key categories as defined by Yoga Alliance. A comprehensive overview of the physical body, bones, muscles, bodily systems and organs, and the subtleties of the energetic body. An exploration of history of yoga, pre-Vedic age to the classical era, and the evolution of the tantra and its applications to daily life. Leading peers in practice and a class experience, the art of giving and receiving feedback, and assisting and observing others teach. Review industry trends and develop an understanding of studio operations, scheduling classes, marketing and managing private clients. ​Where is the teacher training located? We have 3 Affiliate Studios, Heartfelt Yoga Studio, Centered Yoga + Movement, and The Yoga Loft, hosting our Yoga Teacher Training. For a complete schedule, click here . What type of Yoga can I teach after completing the Yoga teacher training? Graduates from our 200-hour yoga certification program are able to teach Hatha, Vinyasa and Hot yoga classes for students of all levels. Because of our empowered teaching methodology, intelligent sequencing and focus on body mechanics, our yoga teacher training develops teachers who have the technical skill and capacity to safely and effectively teach and inspire their students. As a Yoga Alliance Accredited Yoga School, you can rest assured that the training and certification you receive through our teacher training program is respected and recognized by the yoga community. Our teacher training program is highly interactive, and many modules depend on the consistent and collective energy of the group. For this reason we do not recommend missing any sessions. That said, life happens. Students who miss a session can make it up by completing additional homework assignments related to the missed class topics. Each day is considered a session, and the maximum amount of missed time allowed is 3 sessions. Attendance and participation in the practice teaching days (of which there are 3 throughout the program), is required for certification. In the event a student misses a practice teaching day, a make-up session must be scheduled and payment of $75 for session is required. Do I have to be an advanced Yoga student to take the teacher training? No, not at all! Our Yoga teacher training is about diving deeper into the study and practice of yoga. Anyone interested in learning more about yoga will get a lot of value from this experience. What are the benefits of Yoga teacher training beyond certification? There are numerous benefits beyond the obvious for participants of our Yoga Teacher Training Program. These include the opportunity to connect deeply with yourself and others through the training process, challenge yourself in new ways, expand awareness, acquire new skills, learn about your body, mind and heart and ways to attune and create greater harmony on all levels of your life. What if I am not sure I want to teach Yoga after my Teacher Training? About 30% of students who sign up for our yoga teacher training program have no intention of teaching. Many students enroll in yoga teacher training to further develop their own personal practice of yoga and learn more about themselves and this ancient tradition. Is there an application process and how do I enroll for Yoga teacher training? Yes​, there is an application process for the Yoga Teacher Training Program. Simply click the Enroll Now button below and the application and enrollment process will begin. Chose your payment option preference, place a $250 deposit that will be applied to your tuition, then fill out the application questionnaire and submit payment and application. Within 2-3 days you'll receive a decision regarding your application. If you are approved your $250 deposit will be applied to your tuition. If you are declined for some reason, you will be reimbursed the $250 deposit shortly thereafter.